Happy Valentine’s Day everyone! Or not (if you’re indifferent)! So I’ve been procrastinating and writing this post for a week. I’ve decided to be completely cheesy and post it today. If only it were a red eyeshadow options post. But this will have to do! For the later part of last year, I found myself completely smitten with pink eyeshadows. A colour I had never really cared to look into before and was perpetually ignored because who on earth wants to look like a Barbie doll? Pinks have matured since, there are more nuanced muted shades to suit my taste. If you’re bored of wearing the same browns and taupes, these shades offer more variety to switch things up. Some of the shades here are made for a smokey eye but others are strictly for everyday, swipe them on and get on with your day. It was Burberry that first got me into this mess. 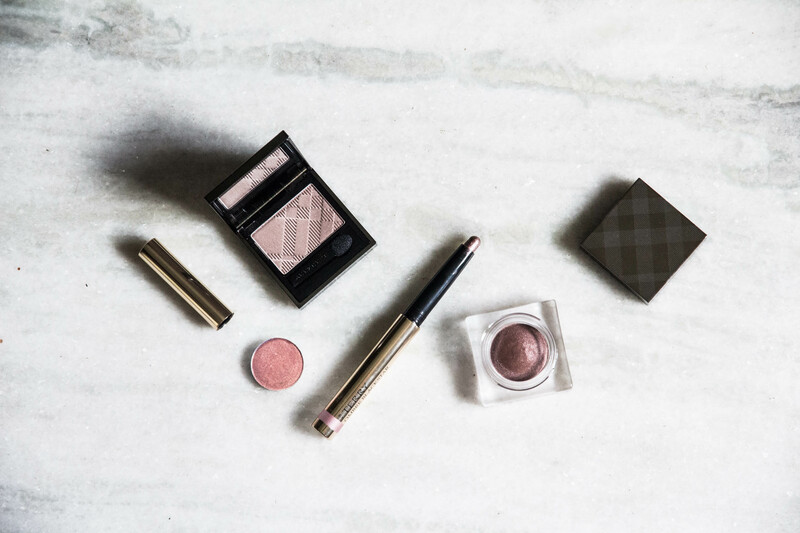 I purchased Burberry Cream Eye Colour in Pink Heather which is just a perfect blend of soft pink and brown that keeps it earthy, much like so many other Burberry shades. The formula is very similar to Chanel Illusion D’ombre where it looks very stiff but applies in a sheer thin layer that can be built up. I find it really easy to blend with just my fingers and while it’s not the most long lasting formula, it holds up well for 4-5 hours without creasing on me. After discovering that the Burberry powder eyeshadow formula is equally good, my eye turned to another pink. 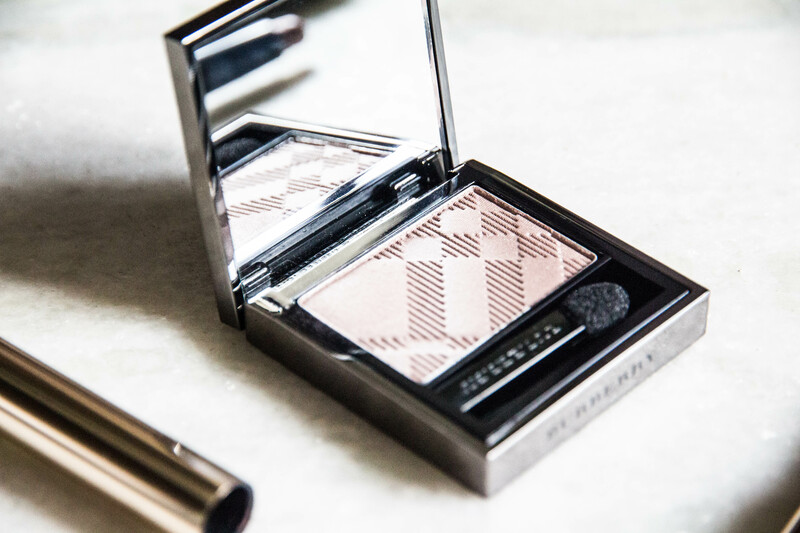 Burberry Wet & Dry Silk Eyeshadow in Rosewood is more of a mauve taupe shade. The powder is very soft and pigmented with really fine microshimmer. It looks more matte on the eyes though. I never really use this wet but I find the dry formula sufficiently pigmented. Rosewood pairs really well with a darker brown on the outer corner. If you’re looking for something more sparkly, I highly recommend By Terry Ombre Blackstar in Misty Rock which has just a stellar formula. This is another mauvey pink with a brown undertone and looks fabulous by itself or with something more elaborate like a smokey eye. For everyday, I do like to sheer this out or use it in combination with Pink Heather because it’s also great as a base. I have another post going in detail about the formula but it really is as good as it gets. It’s thin, super pigmented, doesn’t crease and lasts for the day with the same intensity as when you applied it. Mac Eyeshadow in Expensive Pink is quite different from the rest as it’s one of the few peachy warm pinks I love to use. This one is definitely of the best Mac eyeshadows ever. It really suits tan skintones well and it’s just perfect for special occasions. I used this many times with a true gold eyeshadow or a warm brown. It’s one of the nice Mac formulas which is very pigmented and long lasting. 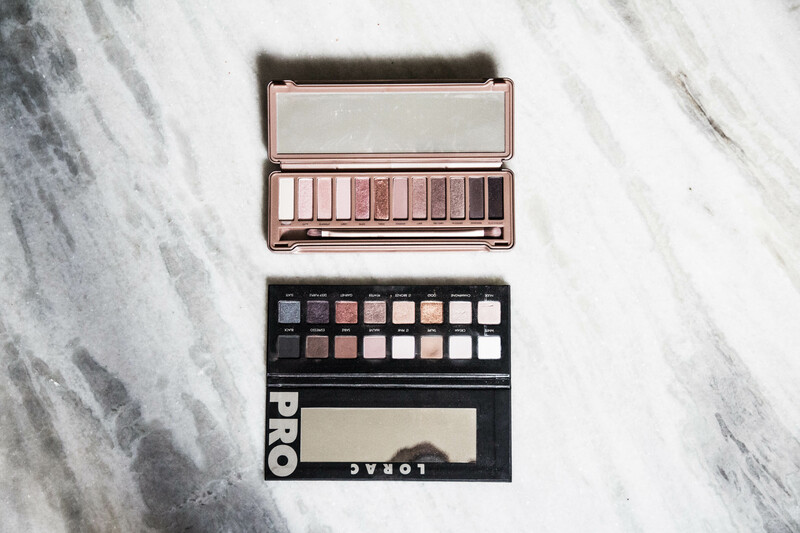 So I’ve mainly been focused on single eyeshadows but you can also find great pink tones in popular palettes. Urban Decay Naked 3 is basically all rose gold and the shade Buzz is what stands out the most. High on the sparkle factor, this one is a cool toned pink. A bit gritty but it’s looks great on the eyes. Lorac Pro also features the shade Mauve which is exactly that. It’s probably the only matte shade here. I use this just by itself or with other shades as a a transition colour. 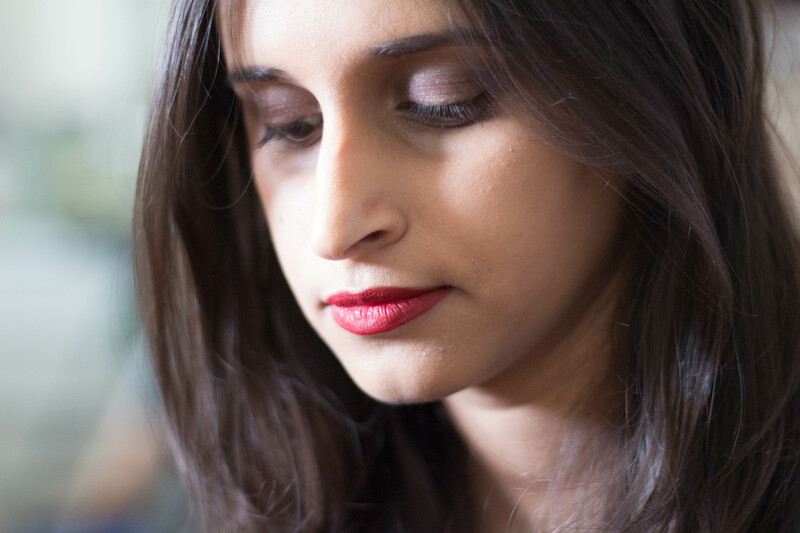 Well, look at that, I do wear red lipsticks! This one is Nars Cruella with combination of Mauve from the Lorac Pro palette and Burberry Pink Heather on the lids. I hope you’re all doing well! I got back from my honeymoon earlier this month. Bali was amazing and we had a stopover at Singapore because, well, shopping. Since then I was streamlining moving in but there were just so many social engagements, I never really had time to blog. My routine is more “normal” now so I’m hoping I can churn out a couple more posts soon. It’s already February but would anyone be interested in a 2016 favourites kind of post?